Bed & Breakfasts save you money. First, they feed you enough for breakfast and lunch. Second, the good ones double as travel agents. Thanks to Fernroyd‘s hosts in Cork, Avril and Tony, we abandoned our plan of traveling the length of Ireland to visit Derry and instead skipped off for a two-day detour to Killarney: a cozy town on the southwestern coast, obviously arrayed for tourists but nonetheless charming and all the more convenient as a result. 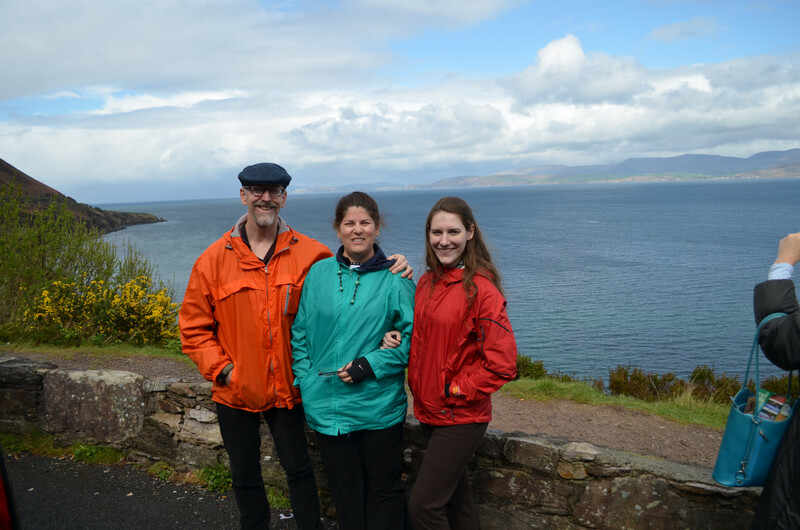 Again, our host Danny (of Lar Kinley Lodge) moved mountains of research and indecision by booking our tour of the Ring of Kerry. I never thought we would drive this historic circle of highway because we decided against renting a car, but the tourism industry came through with professional bus tours. Danny reserved us seats with the able and engaging Deros Tours.